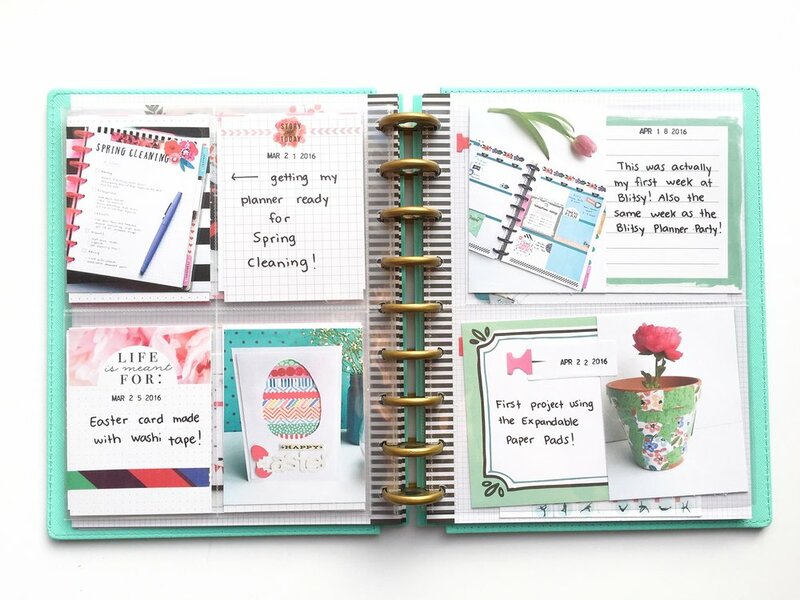 The Happy Planner® is an expandable disc-bound system that combines your love of creativity with your need for organization, and in these two years after its debut at CHA 2015, we've seen some amazing and innovative ways you planer babes have made it work for you. 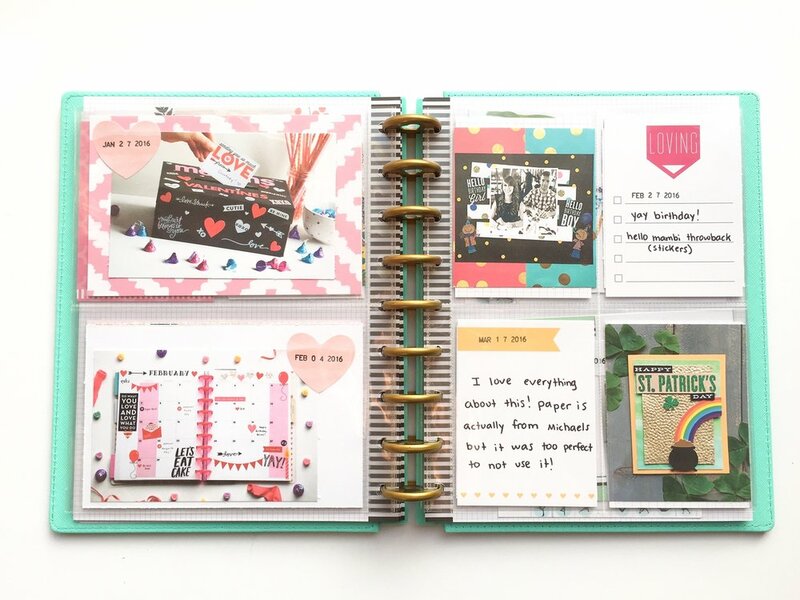 Today, we're sharing how mambi Design Team member Megan McKenna (IG | blog) constructed a complete memory album using a snap-in cover, a pack of gold discs, and tons of Happy Planner® page protectors to record some key moments from her time on the team. 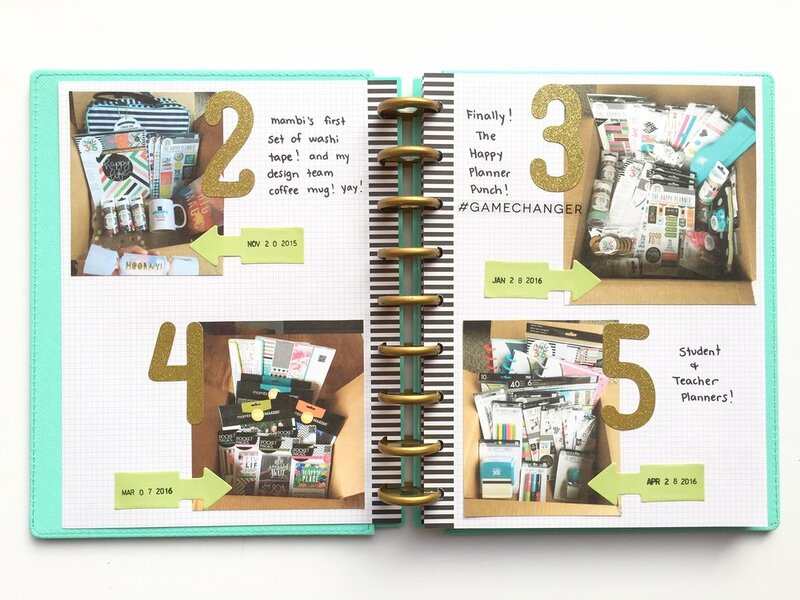 "This is my 2nd year being on the me & my BIG ideas Design Team and I've made quite a handful of projects! 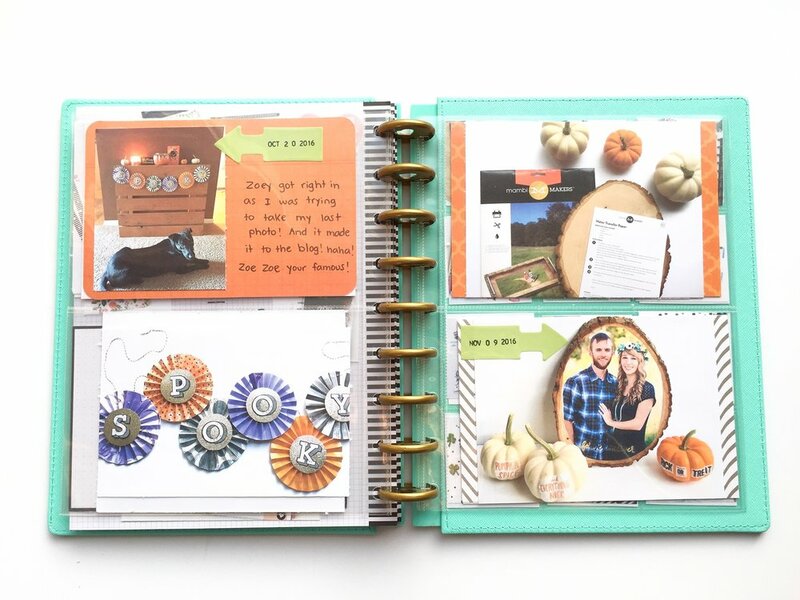 Some are home decor pieces, some are Happy Planner® layouts, and some are different ways to document or plan events! I wanted to make an album that was just for recording everything I've made for mambi. 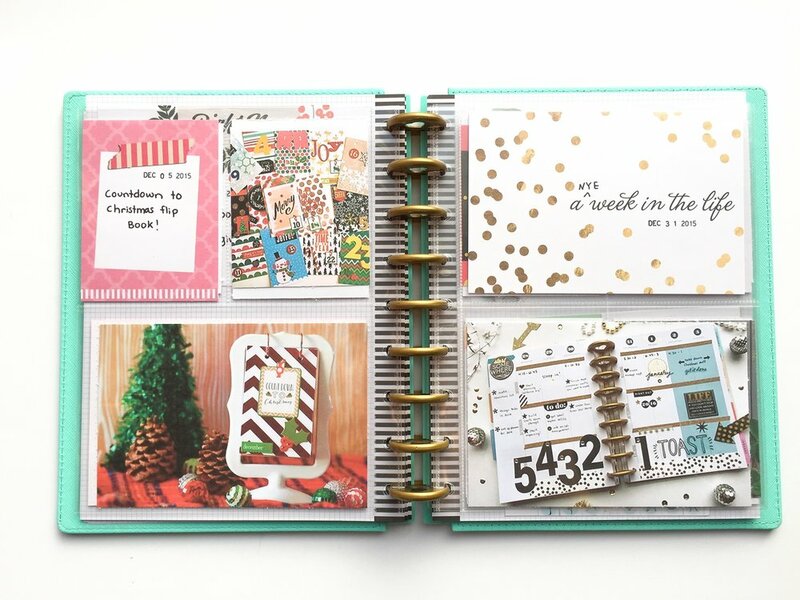 I used classic size gold discs, a new teal snap-in cover, and tons of pocket page protecters! I am totally obsessed with the snap-in covers and it was perfect for this project because I want this to be a sturdy cover that I can store and not worry about it getting worn out or bent." "The first two pages are on two sheets of graph paper. Whenever I get a new design team box, I always make sure to snap a picture of what's inside! 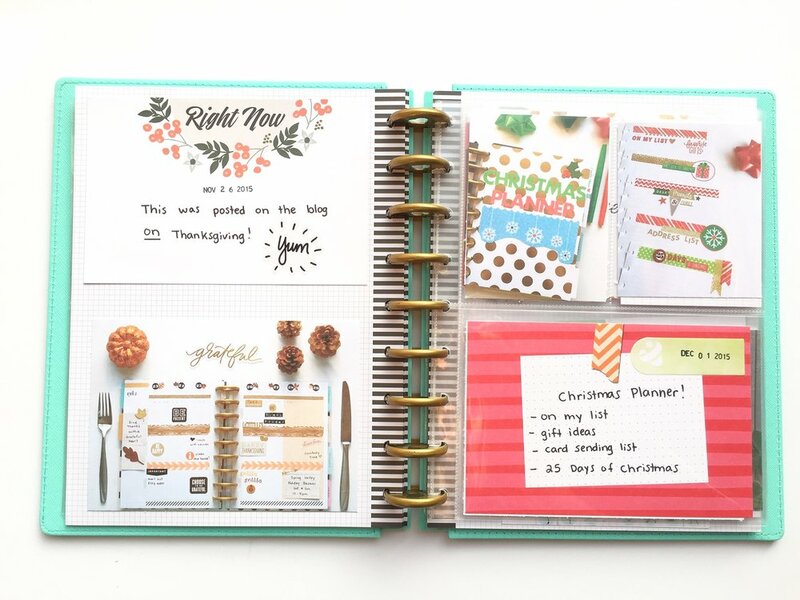 Looking back at my first couple boxes, even though this was just last year, seeing the 'older' designs of Happy Planner® products, it makes me so happy seeing how the designs have evolved! I dated each photo with the day my box arrived on my doorstep, and boy were these happy days! As the pages go on through out the album, these are in order of when my projects went on the mambi blog. I used a sticky note on each photo to stamp the date it went live! I used some pocket pages and some graph paper to have somewhat of a 'scrapbook' feel to it! 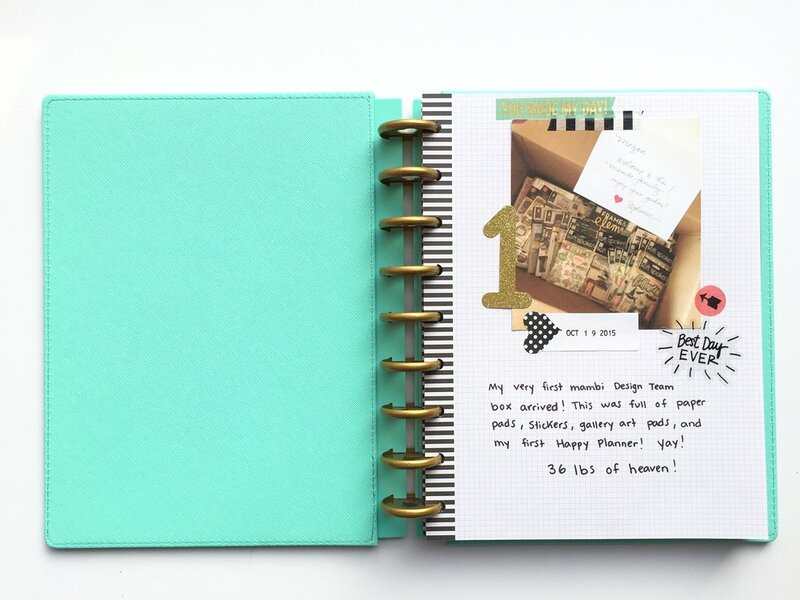 The last page is where I put some of my favorite Happy Planner® layouts and photos that I posted to my Instagram account ---> @megannxo27 <--- and it is so cool seeing how my style has changed since I first started! I am SO looking forward to continue to fill this album up full of my ideas and creations!" Tomorrow through Monday the mambi team will be working the CREATIVATION trade show (formerly known as The CHA Mega Show, CHA Winter Show and HIA)! We will be in Phoenix, Arizona this weekend for this annual trade show, where we will reveal some of the new Happy Planner® product coming out this year. Yes, only SOME - because while we will unveil some of the new designs, there will be more exciting news to come in the next few months. ...so mark your planners for TOMORROW, Saturday, January 21st @ 8:00 am Mountain Time, Stephanie, Hannah, & I will walk you through the me & my BIG ideas booth and show you all the NEW product! We will be broadcasting LIVE on Periscope because we love interacting with you and answering your questions. But don't worry if you can't make the LIVE reveal, we will upload the broadcast to The Happy Planner YouTube Channel soon after. We will be updating our social media accounts all throughout the event so be sure to join in on the fun. If all goes well, Stephanie will be vlogging from the show! 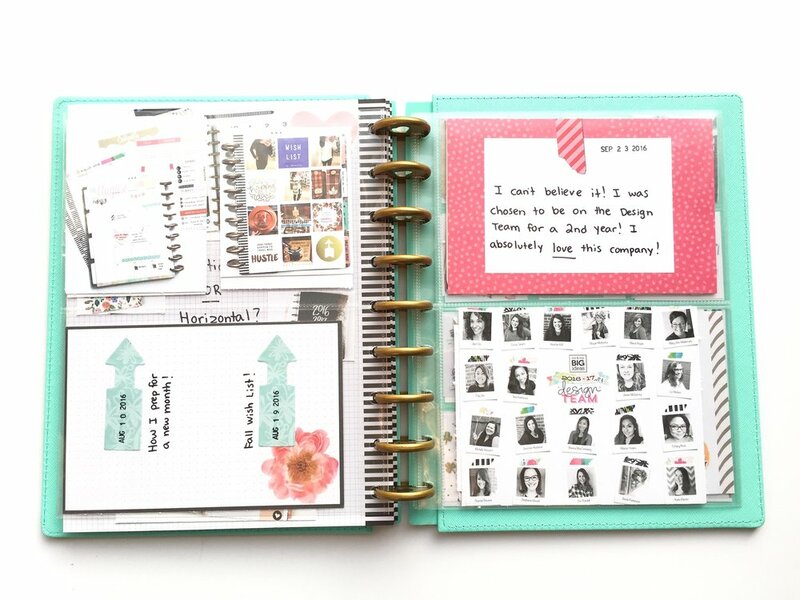 See ya then, planner babes!